Use Alexa in your place of work? There’s cause for minor celebration: Today marks the launch of Alexa for Business Blueprints, a set of dozens of preconfigured templates for Amazon’s intelligent assistant that let customers create and publish private skills without having to write code. They’re currently available in the U.S., with additional territories presumably on the way. As Amazon product marketing manager Ben Grossman explains in a blog post, Alexa for Business Blueprints stay within workplaces — they can’t be used on devices outside of an organization — and any employee can use them to submit voice app requests. How? Simply by signing in with an Amazon account, filling in the requests and responses fields, and supplying an Alexa for Business organization identifier (or ARN). It’s up to IT administrators to review and selectively enable apps for rooms (or the entire organization) as they come in. A few of the available Blueprints address work-related questions like “What’s the guest Wi-Fi password?”, “What are the hours for IT?”, and “When does open enrollment start?” Others cover pertinent subjects like office layout (“Alexa, ask Team Guide, where’s the mailing center?”) and equipment setup (“How do I set up corporate email on my phone?”). Coinciding with the rollout of Alexa for Business Blueprints, two new Skills Blueprints have been added to the Alexa Skills Blueprints website under a new Business category: a Business Q&A Blueprint for custom questions and answers, and an Onboard Guide Blueprint to handle new hire questions. Amazon says that already, Amazon for Business users like Glidewell Dental plan to use the Blueprints to keep staff updated with company information and events, and that Saint Louis University and Emerson University hope to drive student and faculty engagement and support curriculum. “[S]ome companies attempting to develop custom Alexa skills found they didn’t have the resources to build their own private skills, which can take several months to design and release to their organization,” Grossman wrote. 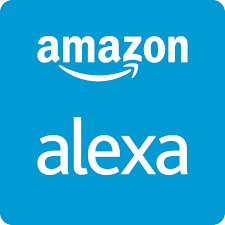 Alexa for Business made its debut two years ago at Amazon Web Services’ re:Invent conference. It allows enterprise users to schedule meeting rooms (with third-party services such as Cisco, Polycom, Zoom), share itinerary information (through Concur), check voicemail messages, and quickly see if meeting rooms are available, and it enables company admins to control users’ settings and capabilities through a web dashboard. Beyond traditional office environments, Amazon has pitched it as a way to manage Echo speakers in places like hotels and dorm rooms. Today’s launch comes months after Amazon introduced personal Blueprints for personal Alexa skills, which are assigned to Alexa-enabled devices registered to a specific Amazon account. Like voice apps created with Alexa for Business Blueprints, they don’t appear among the tens of thousands of third-party skills in the Alexa Skills Store.